Do you ever feel like escaping the city and the weekly office 9-5 for wilder pastures? For a break from the city with the luxuries of a boutique hotel, glamping may be just the holiday for you! Far away from the stress of modern life, a long weekend or short stay going off the grid is the ultimate way to unwind. 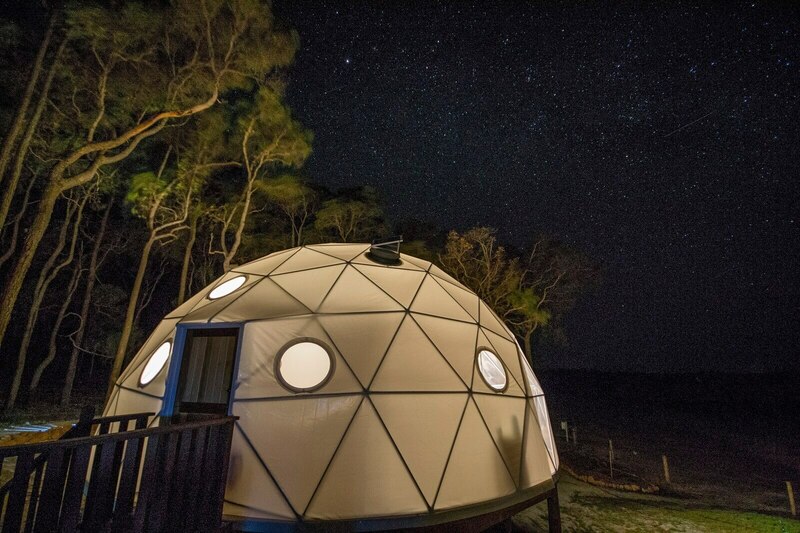 When it comes to glamping, West Australians are spoilt for choice as there’s plenty of glamping hotels and eco retreats popping up. Gone are the days when you have to worry about setting up your own tent after a long day of travel. Glamping allow campers to experience the wonders of the outdoors without compromising on comfort. We’ve scouted four of the top glamping retreats that are perfect for a short stay away - September long weekend, anyone? - when you’re in need of a little pampering and R&R. Snuggle under the twinkling night sky and wake up with the sunrise as your alarm clock in this luxurious transparent dome. 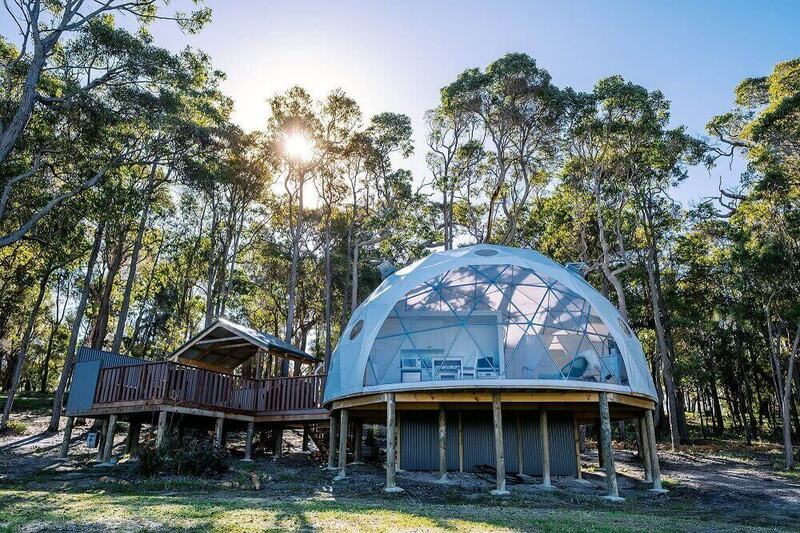 Located on an idyllic private estate in Margaret River, Mile End Glamping will wow you with some of the most breathtaking views of the region. Designed for two, it is the perfect place for a romantic getaway. Quality features include a private bathroom, kitchen, king bed and adjacent deck with private spa bath and BBQ. While it may be hard to drag yourself away from such a secluded haven, we highly recommend taste testing your way through some top-quality vino in the famous wine region to make your trip extra special. With places known to book out six months in advance, it’s best to organise your Mile End Glamping trip as soon as possible. Be besotted by quintessential Australian bush and beach scenes at this remote beachside camp on the shores of Ningaloo Reef. Sal Salis offers WA’s very own safari experience. Wake up to the sound of birdsong, watch kangaroos and wallabies on the dunes, and spot dolphins and whales dipping in and out of the pristine reef waters, all from the privacy of your own wilderness tent. Wilderness tents have your utmost comfort in mind, with each including a jarrah bed, cotton sheets and en suite bathroom. But the luxury doesn’t end there. 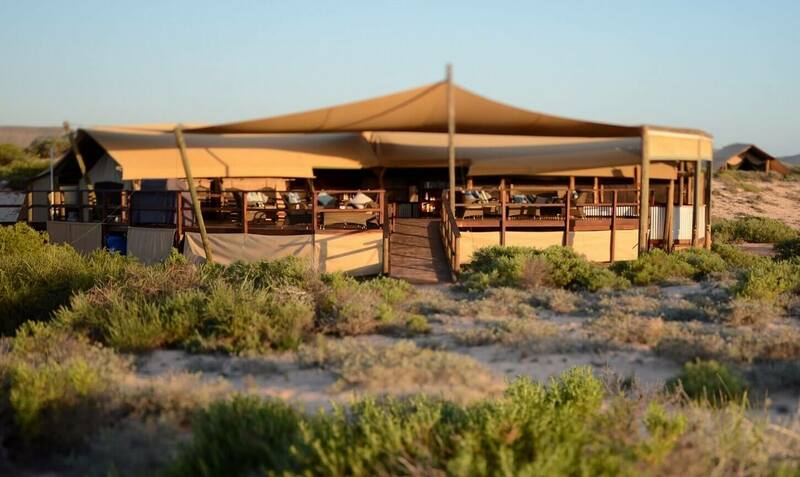 At Sal Salis, you can dine like a king or queen at long table feasts prepared by expert chefs along the beach dunes. 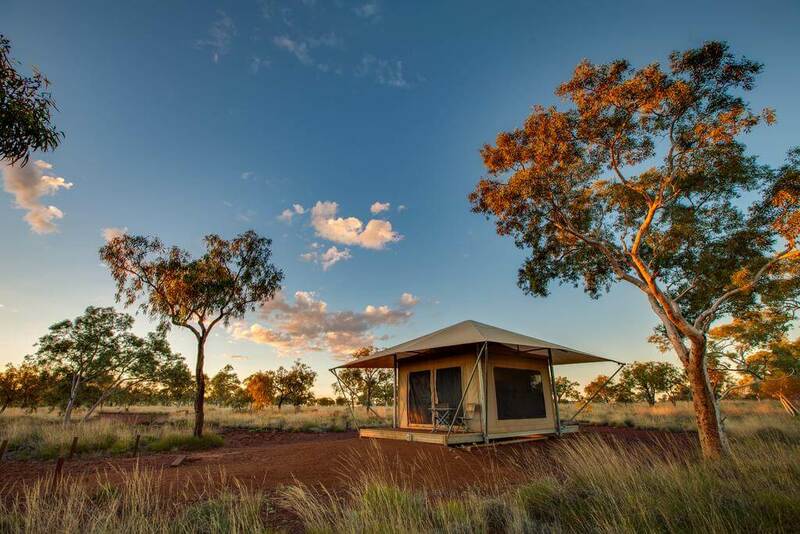 Nestled in the pristine bushland of world class Karijini National Park, this environmentally friendly Retreat and Campground is ideal for the true adventure seekers chasing an authentic outback experience. Rest up in a deluxe eco tent complete with en suite and fuel yourself for an exciting day of exploration with a continental breakfast and packed picnic lunch for two. Once the sun sets, get the full experience by dining at Karijini’s Alfresco restaurant while taking in the scenic views of a country bathed in fiery red sunset. Who would have thought rugged and relaxation could go together so well? If you truly wish to escape from it all, including the resident glampers that come with a shared camping ground, Soul Camping is your best option. The only hard work involved is deciding on your desired site anywhere throughout the Margaret River Busselton Region. Will it be the crystal blue waters of Hamelin Bay or the towering trees of the Karri Forest greeting you each morning? 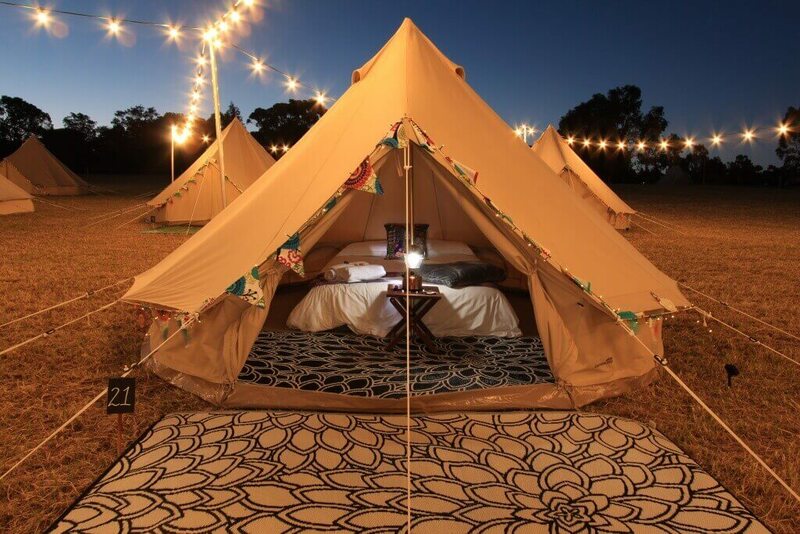 Wherever you decide, the team at Soul Camping will pitch a boho-styled tent complete with cosy furnishing. Depending on how luxurious you want your experience to be, there are four package options available. Add ons such as ready made campfires, grazing platters, gourmet hampers and even your own private chef make for the complete package. Cover image courtesy of Mile End Glamping.